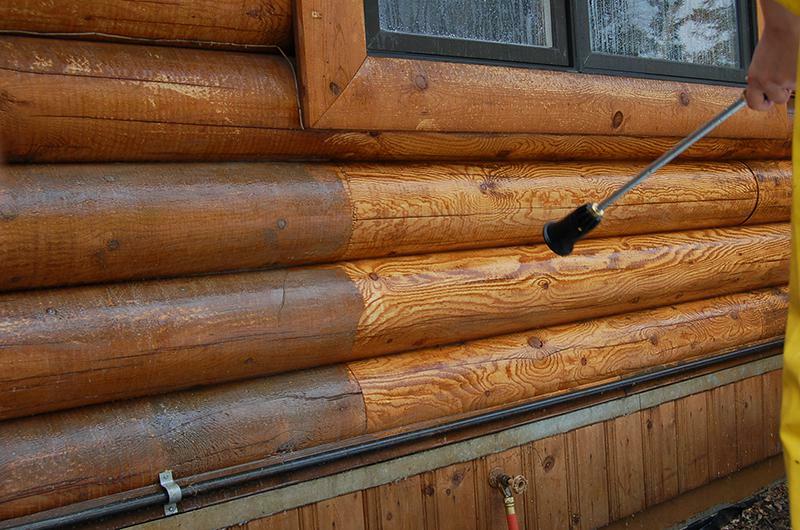 Over the years, Perma-Chink Systems Inc. has developed a family of 30 products that are used to seal, chink, preserve, stain, finish and clean the interior and exterior logs of handcrafted and manufactured log homes. The Log Home Care and Maintenance Authority. In 1981, Perma-Chink Systems, Inc. introduced flexible chinking to the log home industry. This revolutionary product, Perma-Chink log home chinking, stretches and flexes to accommodate log movement while maintaining a tight seal for the life of the house. 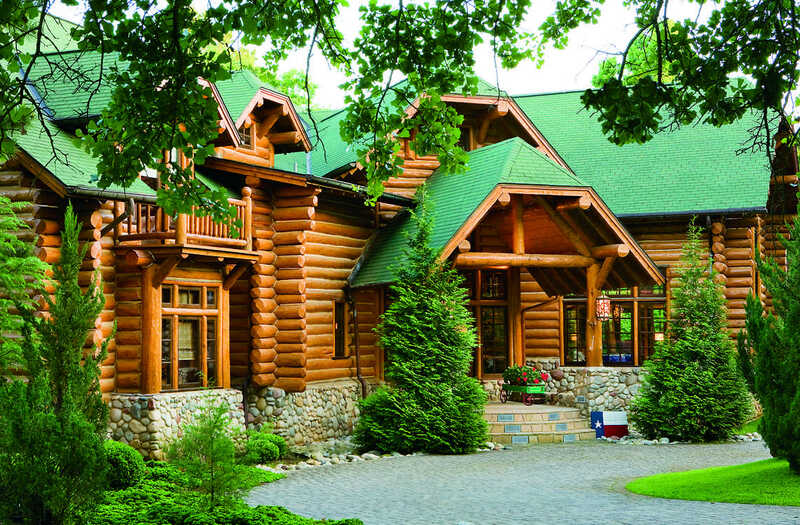 After that, log homes became one of the most weather-tight, comfortable home choices available. Practically overnight, Perma-Chink forever changed the way log homebuilders would think about sealing their log homes. 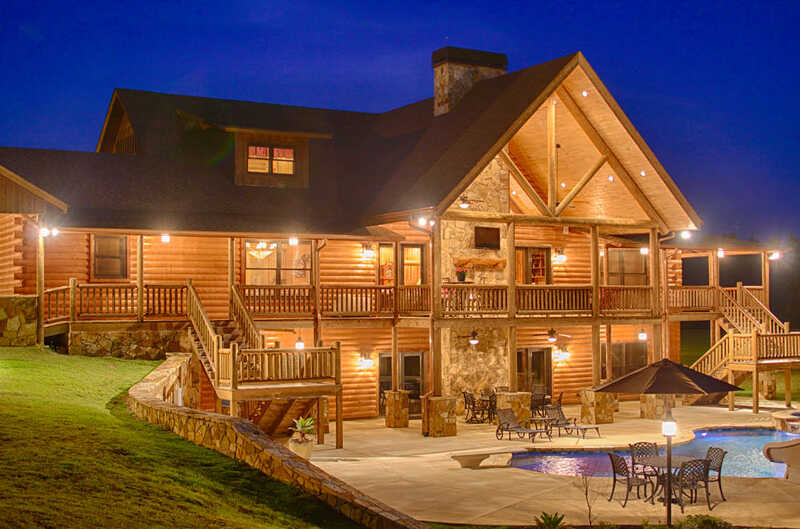 Over the years, the company has developed a family of 30 products that are used to seal, chink, preserve, stain, finish and clean the interior and exterior logs of handcrafted and manufactured log homes. 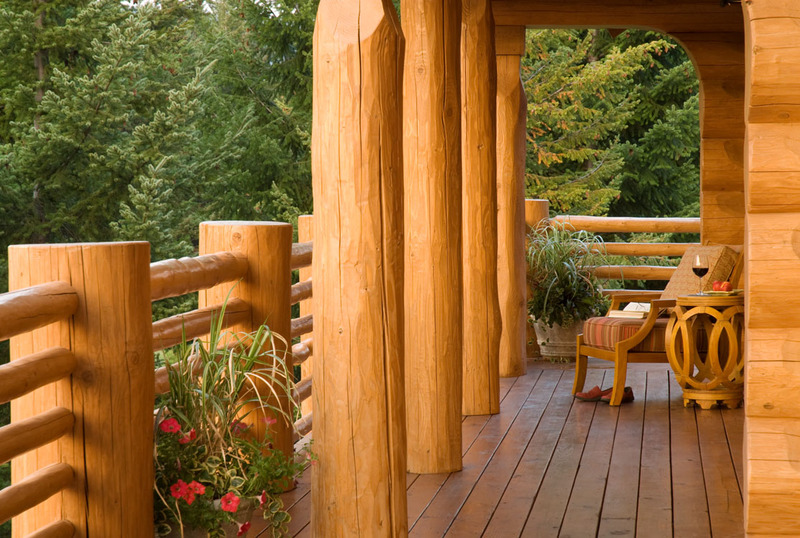 One of the company’s newest products, Energy Seal seals cracks between the logs of chinkless or milled log homes. Perma-Chink Systems, Inc. recognized that milled log homes would have some cracking and leakage because of the natural dynamics of the logs. The obvious solution is to use caulking, but caulk doesn’t adhere well, cannot be tooled, slumps away from the joint, and looks like the plastic you put around your bathtub. 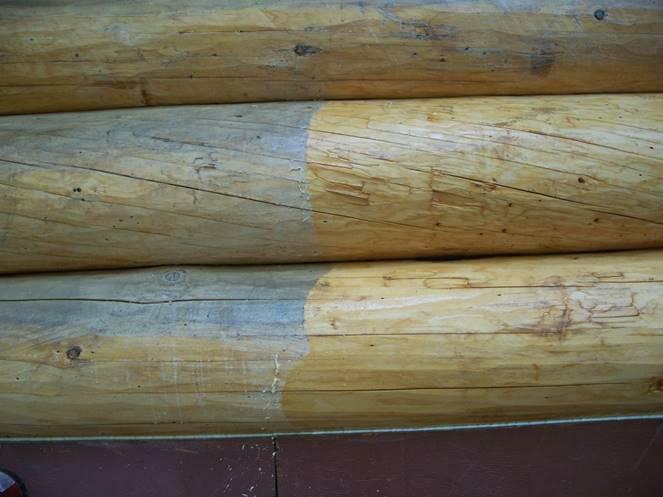 A more natural-looking alternative, Energy Seal, which is a refined Perma-Chink chinking formula, is easily applied from a tube, spread with a trowel and used to fill in cracks between logs. It is also very flexible, water-resistant and comes in a variety of colors to blend or contrast with the color of the logs. 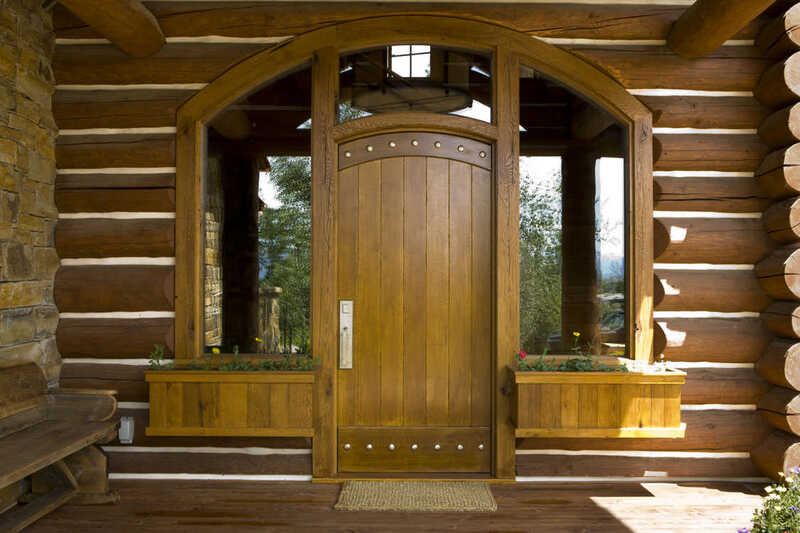 Energy Seal lasts the life of your home and is a beautiful compliment to a milled log home. Perma-Chink Systems product line also includes Lifeline wood stains and sealants. 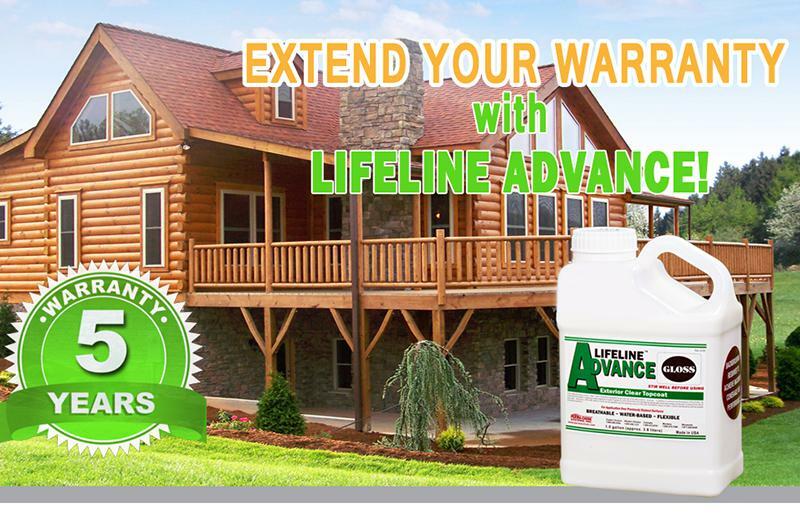 Lifeline Ultra-7, low VOC one-coat application was introduced to log home market a few years ago. Lifeline Ultra-7 is a natural, long-lasting, semi-transparent exterior finish that shades and highlights the wood’s true beauty. 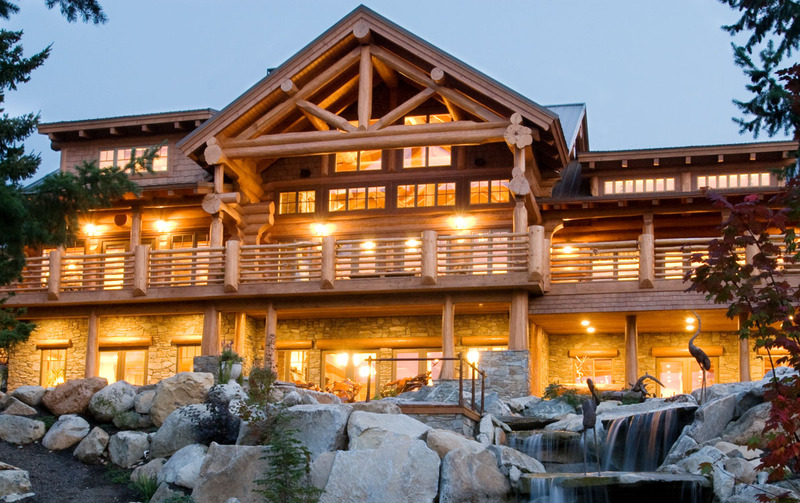 Log home owners have difficulties deciding which products they should select for their homes and have trouble finding out if one product will work with another. Perma-Chink Systems, guarantee that all of company’s products will work together when properly applied. The entire Perma-Chink Systems product line is non-toxic. “We are very concerned about the environment and the safety of the people that use our products,” says Rich Dunstan, president and the founder of Perma-Chink Systems. 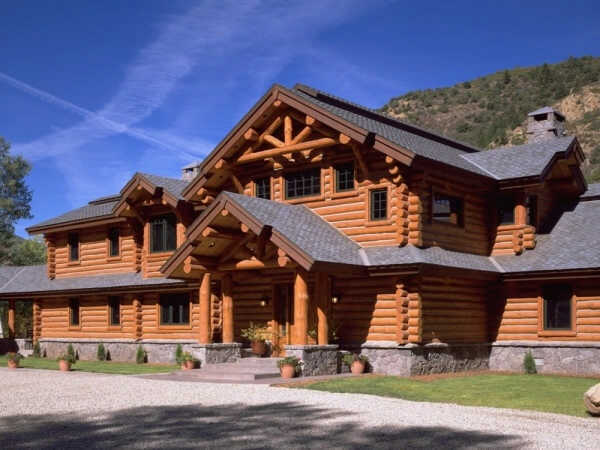 We have more experience in formulating highly specialized products for log homes than anyone in the industry. We take pride in ourselves in saying – “By the time you discover a challenge - we already have the solution”. 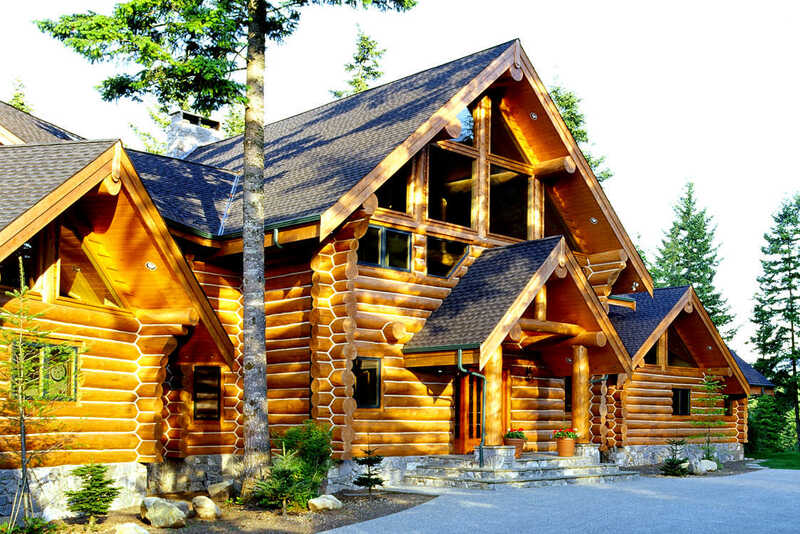 Have Questions About Your Log Home Maintenance? Watch now. In order to accomplish these objectives cleaners come in a wide variety of formulations, some of which work better than others for performing a specific task. Soaps and detergents do a good job in removing dirt and grime but do little else to the wood. Wood ReNew contains a thickener that helps it adhere to wood. Simply mix Wood ReNew concentrate with water, stir and liberally apply it to the wood with a mop or brush. Wood ReNew will immediately begin to fizz and foam as it removes dirt and grime. After about 10 minutes scrub the wood with a medium-bristle brush and rinse thoroughly with clean water. Dirt, stains from mold and mildew, water stains, and UV damage will be gone and the wood will have a new, fresh look. 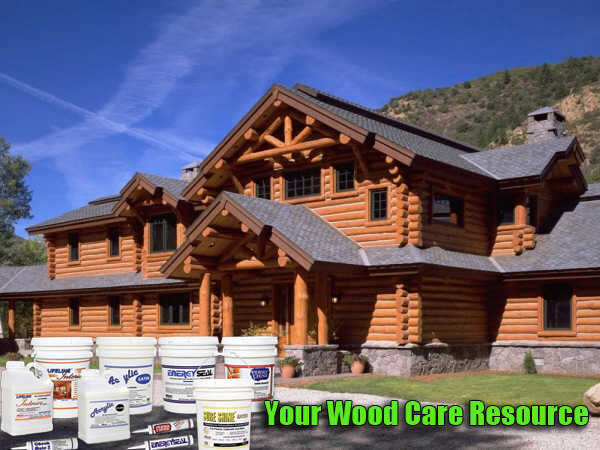 One gallon of Wood Renew makes 20 gallons of solution, enough to clean approximately 3,000 sq.ft. of wood surface. Order Your Free Sample Here to Try on Your Wood. 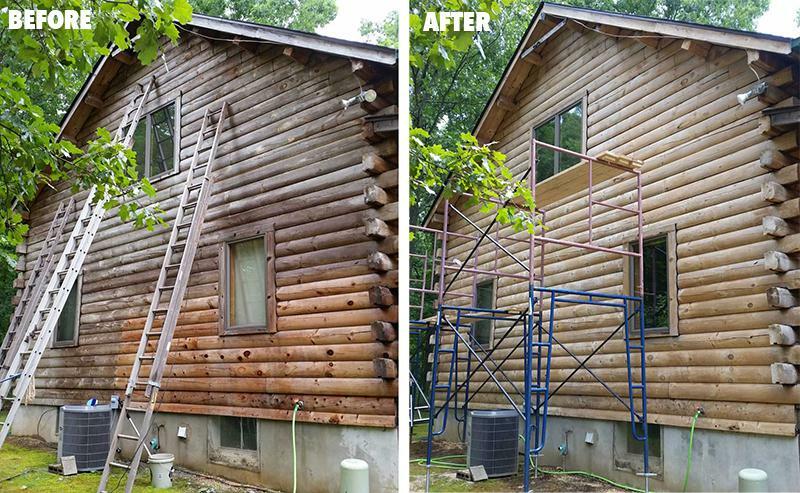 Lifeline Advance – the Clear Top Coat for Your Log or Timber Home. Just as clear coats are vital to the performance of today’s automotive finishes, Lifeline Advance Topcoat is an integral part of our exterior finish systems. Not only does it extend the life of the color coats, it is significantly improves the look of the finish by enhancing the color, clarity, and depth of the finish. In other words, it makes our finishes the most beautiful log home finishes in the world. Second, it helps keep the surface clean. The very nature of a pigmented stain makes it susceptible to dirt pick-up through adhesion or impregnation. Since we have designed Advance to form a smooth, strong film, it makes it much more resistant to dirt. 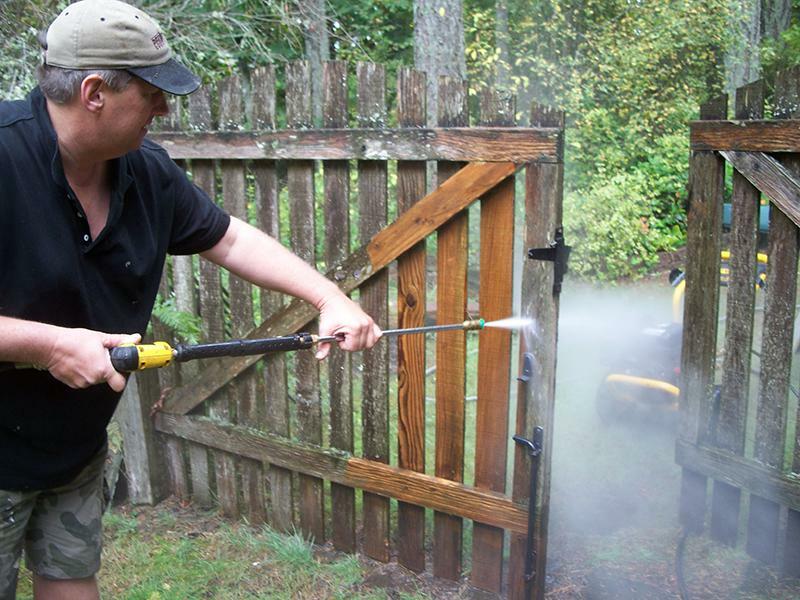 In addition, the smooth surface makes it easy to clean off any dust or pollen that may accumulate on the surface of the logs. Also Lifeline Advance has the right permeability to keep the film breathable while repelling water. Lifeline Advance is the second component in our exterior wall finish system that includes a limited warranty when used with Lifeline Ultra-2 and Ultra-7. Learn more: Is the Clear Top Really Necessary?